We love to make our patients smile, so a holiday like Halloween is a perfect excuse to be a little silly! You may have seen our crazy costumes last year (Wizard of Oz...including both green AND silver face paint! ), so you know we had to at least attempt to top that idea. 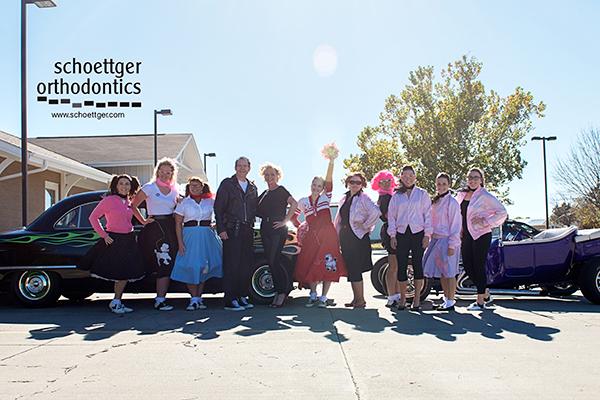 We came up with Grease and even found some classic cars to complete the experience! A special thanks to Fringe and Tassel Costumes and Rebels Auto Club for helping to complete our look!